The Dalai Lama is a lineage of religious officials of the Gelug sect of Tibetan Budhism and is the highest spiritual teacher of Gelugpa School. A new Dalai Lama is believed to be the reborn old Dalai Lama and the descendants of Bodhisattva Avalokitesvara. Traditionally, His Holiness is said to be the latest reincarnation of a series of spiritual leaders reborn to enlighten others. Dalai Lamas were the directors of the Tibetan Government controlling a big part of capital Lhasa from 17th century to 1959, since then, he is the president of the Tibetan Government-in-exile or Central Tibetan Administration (CTA). In Mongolian language "Dalai" means "Ocean" and in Tibet it is “Gyasto”; Lama in Sanskrit is “Guru” i.e. hence can be put together as "Ocean Teacher" meaning a teacher who is spiritually as great as the ocean. However, many writers have mistranslated Dalai Lama as "Ocean of Wisdom." The full Mongolian title, "the wonderful Vajradhara, good splendid meritorious ocean,"
The Dalai Lama leads the Dge-lugs-pa or Yellow Hat Sect of Tibetan Buddhists. The Yellow Hats, in the late 14th century, restored discipline to monastic life and promoted academic rigor, minimized the use of magical rites and imposed celibacy and abstinence from meat and alcohol. The Yellow Hats rose to predominance in the 17th century and helped bring about Tibet's unusually large monastic population till the uprising of 1959.
of Dalai Lama was not adopted until the 1570s. The Mongolian King Altan Khan conferred the title on the third successor, Sonam Gyatso. Tibetans also use Rgyal-ba Rin-po-che or "Precious Conqueror" to refer to the Dalai Lama. After a string of four rulers, the 13th Dalai Lama, Thupten Gyatso, started reforming Tibet and reasserted his position's political power at the beginning of the 20th century. He survived both British and Chinese invasions of Tibet, briefly living in exile in China and later India. During the Chinese Revolution from 1911 to 1912, he took advantage of the dying Manchu dynasty to expel its remaining forces from Tibet. Tibet became an independent country and remained so until the 1950s. The 13th Dalai Lama also bolstered his country's military, introduced currency and lightened some of the repressive aspects of monastic life. The 14th Dalai Lama - Jetsun Jamphel Ngawang Lobsang Yeshe Tenzin Gyatso born on 6th July 1935 at Taktser, Amdo, a spiritual leader revered among the people of Tibet, is the head of the government-in-exile, Dharmashala, India. In 17 November 1950, he was enthroned formally as Dalai Lama:. He fled Tibet after the Chinese invasion and failed 1959 uprising and collapse of Tibetan Resistance Movement. He is a recipient of Nobel Peace Prize, honorary Canadian Citizen, US Congressional Gold Medalist and several honorary conferments and major awards. Join in and write your own page! It's easy to do. How? 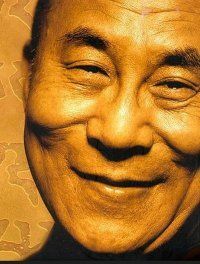 Simply click here to return to Dalai Lama Stories.